Image of Anne Morgan via the Library of Congress/Image of Eleanor Robson Belmont. Long before the days of Jingle All the Way and dads punching each other over Shopkins play sets, a group of New York socialites and philanthropists formed the Society for the Prevention of Useless Giving—or SPUG—to quell the rampant consumerism that had claimed Christmas around the turn-of-the-century. The yearly emphasis on materialism annoyed the so-called Spugs, but there was also a practical complaint: the era’s custom of employees giving gifts to bosses and higher-ups in exchange for work favors. Frequently, these gifts didn’t run cheap, costing in some cases up to two weeks’ worth of wages, a tradition propelled in part by peer pressure that had grown only bigger with each passing year. 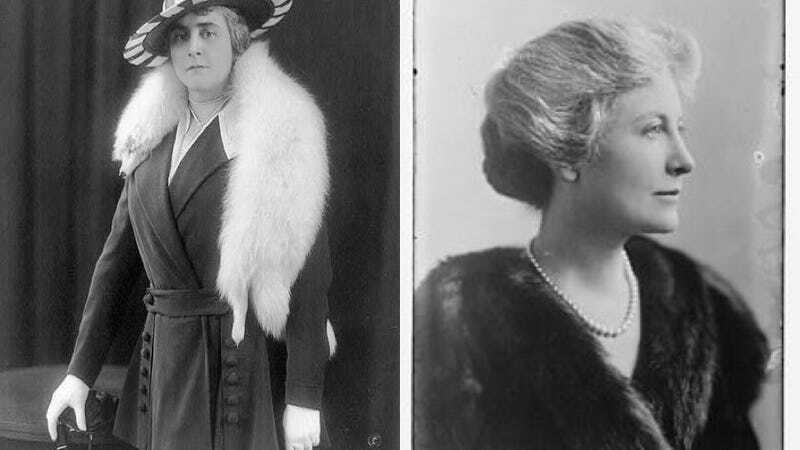 The group was founded by Anne Morgan, daughter of J.P. Morgan, and Eleanor Robson Belmont, a famous actress who retired from the stage in 1910 to marry August Belmont, Jr. (builder and namesake of horse racing facility Belmont Park). Originally, the Society for the Prevention of Useless Giving included only women—or, as philanthropist Gertrude Robinson Smith specified in 1912, “self-respecting, self-supporting women”—of varying economic backgrounds, though they eventually expanded to include men. Ice cream was served, for one thing, while women also took in what was then a novel form of entertainment: moving pictures. The rallies were also, at their root, about female solidarity, even if class divisions lingered, giving the occasions an air of maternalistic charity. With WWI came other more demanding distractions and the Society for the Prevention of Useless Giving was disbanded and, as of now (over a hundred years later), their hard work and mission go ignored. No better time like the present to put a SPUG spin on your presents, no?